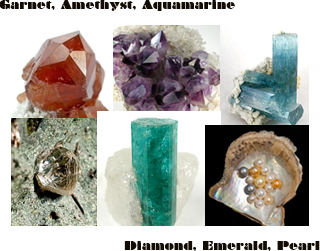 June has arrived and with it the scheduled launch of my blog of gemstone esoterica. I have decided to organize my entries under the rubric of “birthstones” to guide my writing and allow the reader yet another means for accessing archived posts. The idea that each month of the year is associated with a specific natal stone can be traced to the writings of Josephus and St. Jerome, scholars of the 1st and 4th centuries, respectively. Both of these authors indicated that there was a connection between the 12 stones of the High Priest’s breastplate, the 12 months of the year, and the 12 signs of the zodiac. There is a wealth of differing opinion about the nature of the stones in the High Priest’s breastplate. This is due, in part, to the fact that various translations of the Book of Exodus point to different gemstones. In addition, the gemstones in the breastplate were frequently conflated with the Foundation Stones and Apostle Stones. 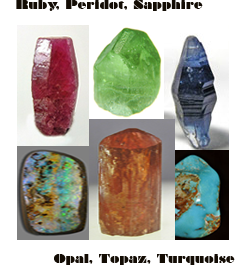 And finally, because gemstone nomenclature has evolved along with our understanding of the natural world, many of the early names for gemstones no longer have meaning. It is likely that a belief in zodiacal gemstones preceded early Christian traditions. In antiquity, gemstones were thought to retain the astral influences of the planets and stars longer than other earthly substances. 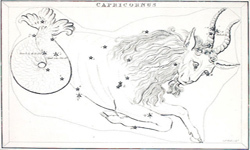 A zodiacal gemstone was believed to provide a medium for the transmission of stellar influences. Various cultures assigned different gemstones to the signs of the zodiac, but in practice this meant that 12 stones were prescribed, one for each month or zodiacal period. The Greek philosopher Apollonius of Tyana extolled the secret “virtues” of gemstones and changed his rings on a schedule that conformed to the laws of astrology. According to Philostratus Jarchus, this allowed Apollonius to extend his lifetime by at least 20 years. Avicenna [Ibn Sīnā] indeed says that all marvelous things are brought about through the influence of the heavenly bodies; and since it is clear that the effects of stones are marvelous, it can be proved that their form contains some divine matter.